Last night we had a viewing party of the trip video at our house. There was food, drink, and smiles. 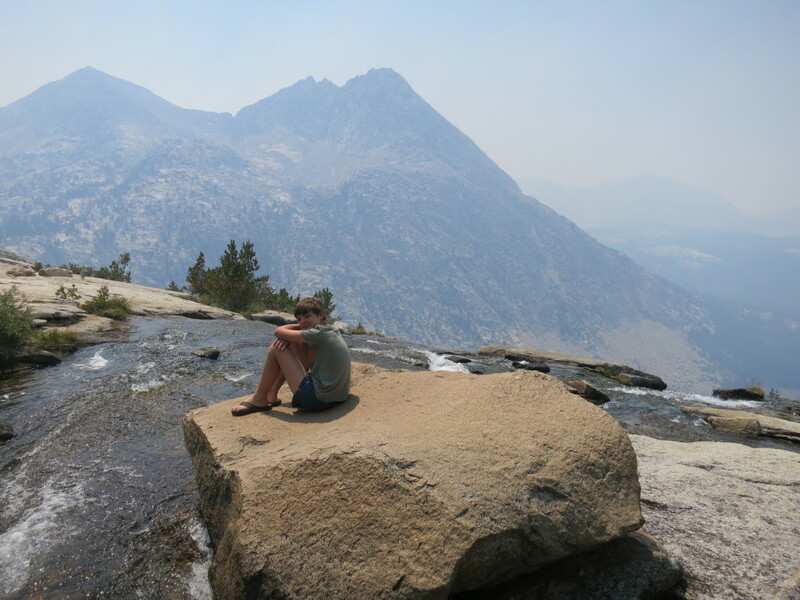 This entry was posted in Hikes on August 31, 2015 by admin. On Wednesday of this week I flew to Leadville in advance of Saturday’s Leadville 100 Trail Race.. I wasn’t running this event, but I was pacing my friend Mike in it. 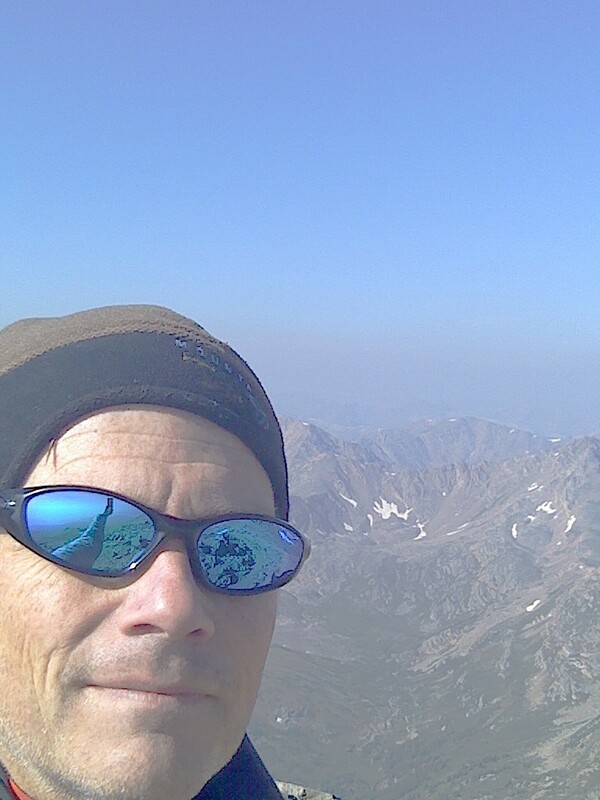 On Thursday, I was at the Mt Elbert trailhead by 5:30am and was on the summit of Mt Massive by 9:00am. The wind was intense and I almost turned back since I had every piece of clothing I brought on and I was still freezing (see pic below). 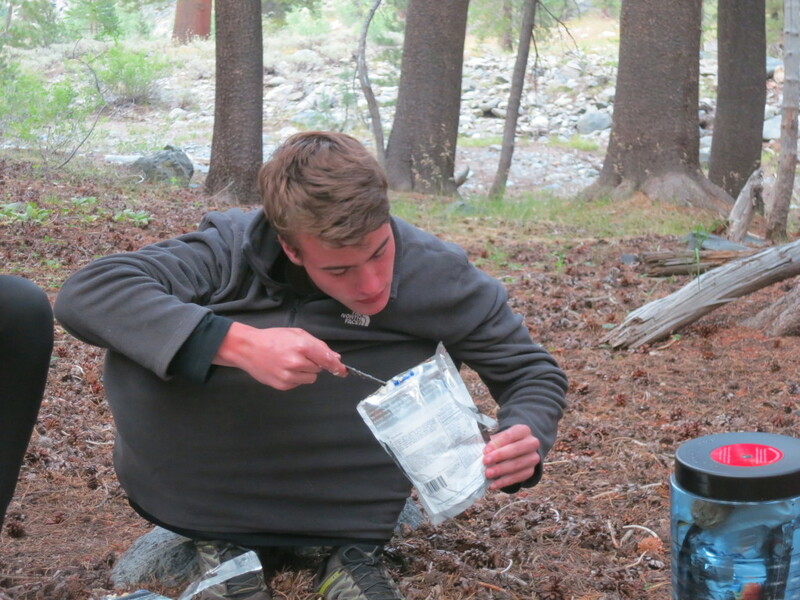 I ran the 6 miles back to the car, refilled my water and set out up Mt Elbert. 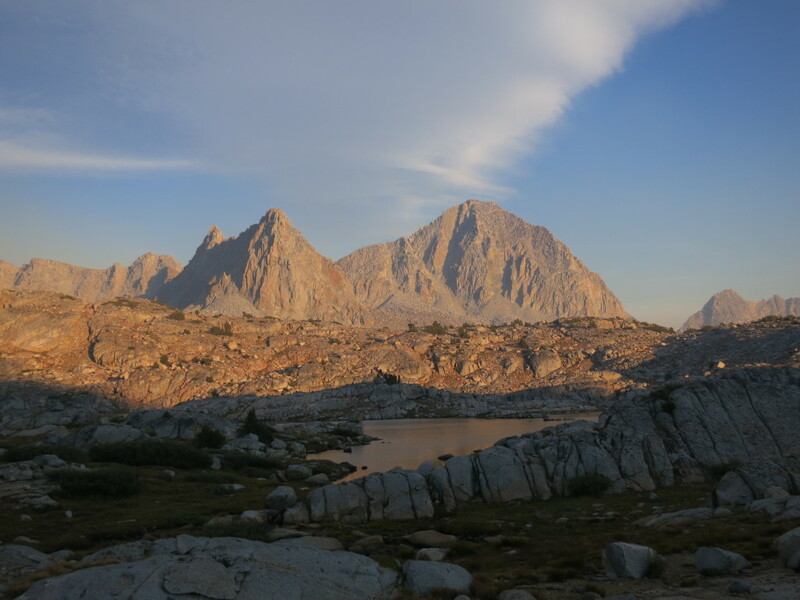 My heart wasn’t in it and I didn’t want to face the wind again so I turned around at tree line. I still got 20 miles and 7,000 ft of climbing in. Friday was spent mainly on calls for work, but I did get to go to the runners briefing. While most of the briefing consisted of corporate babble from the sponsors, there were some inspiring spots from the many multi-year finishers of the race. 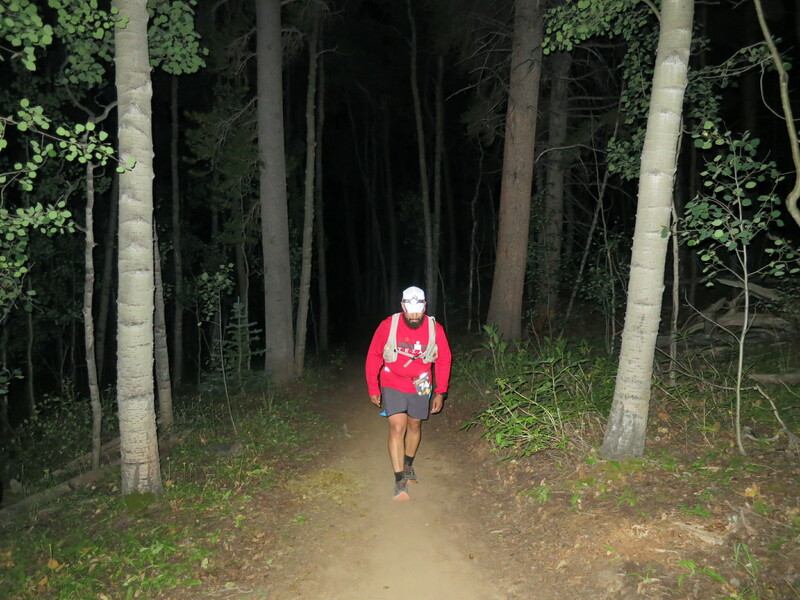 On Saturday at 4am, Mike V set off. I first saw him at mile 24 and he looked good and most importantly, was right on his goal card. 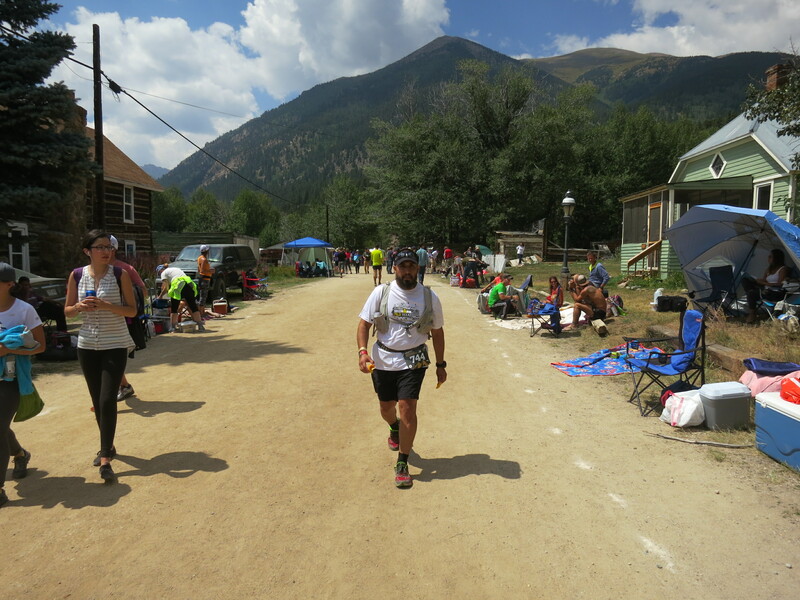 The Leadville race has a 30 hour cut off so it was a tough one for Mike to choose to be his first 100. Mike also came in at 40 miles to the minute on his card. 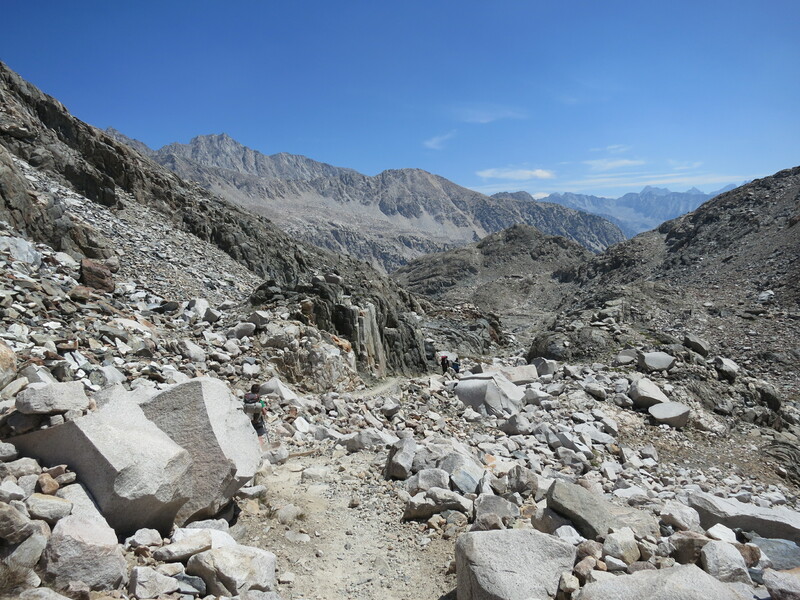 The picture below is from this point which is followed by going over a 3,500 ft pass and then turning around and coming back. I turned him over to Jamie at mile 75. Jamie kept the pace up and turned him over to Dave for the home stretch at mile 86. Mike promised me he’d run the finish so I don’t feel bad about showing the world how I reminded him. In the end, Mike V is now the owner of a Leadville belt buckle and we are all very proud of him. This afternoon he spoke about being one and done, but my guess is he’s looking for his next race within 2 weeks. This entry was posted in Runs on August 23, 2015 by admin. 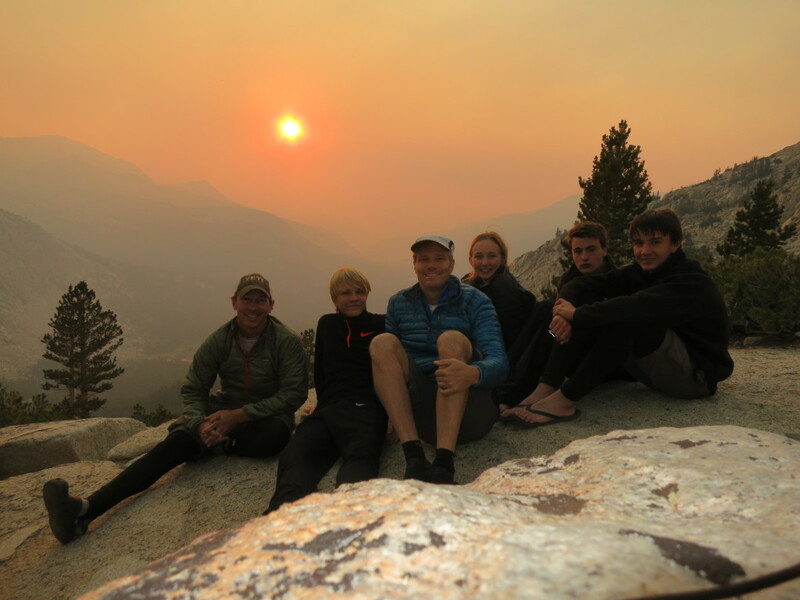 Last week, 6 friends joined Preston and me for a ~60 mile backpacking trip into the Sierra Nevada’s. 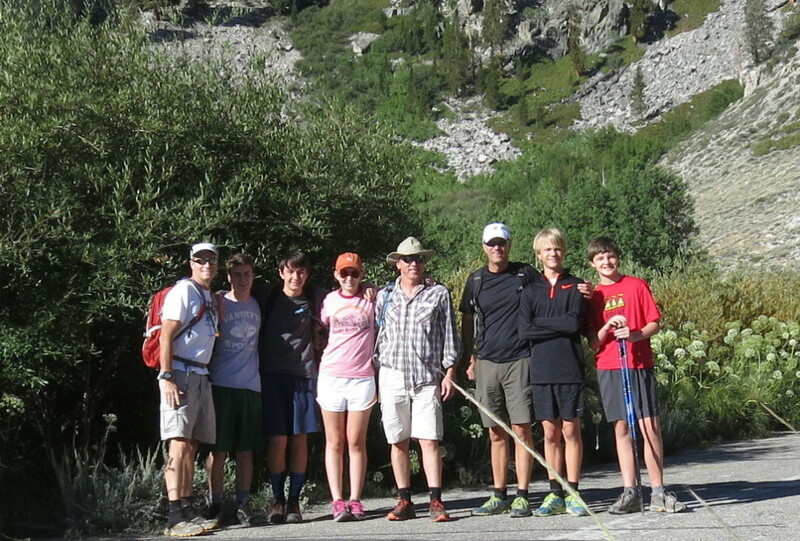 The group consisted of 3 dads and 5 kids ranging in age from 14 to 17. 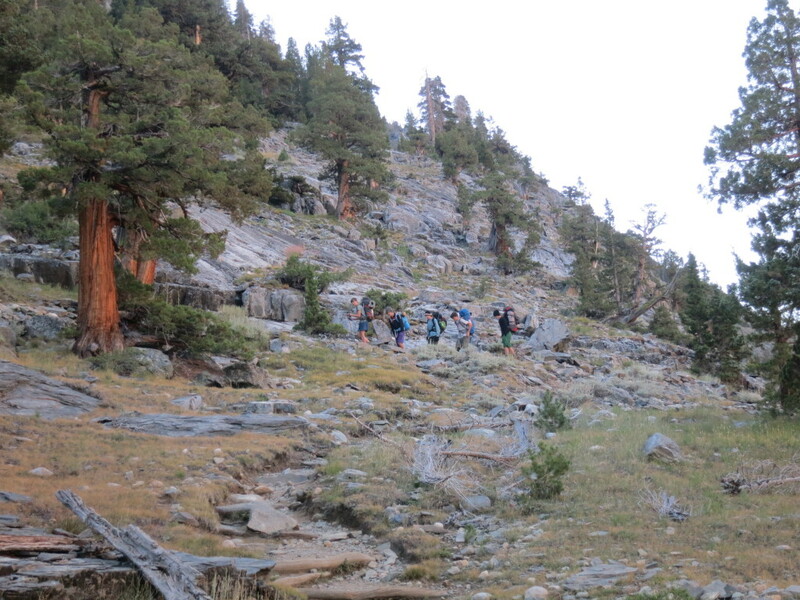 On Saturday, we flew to LA and the group met in Independence, CA at the Mt. Williamson Motel for our last night of sleep in a bed. 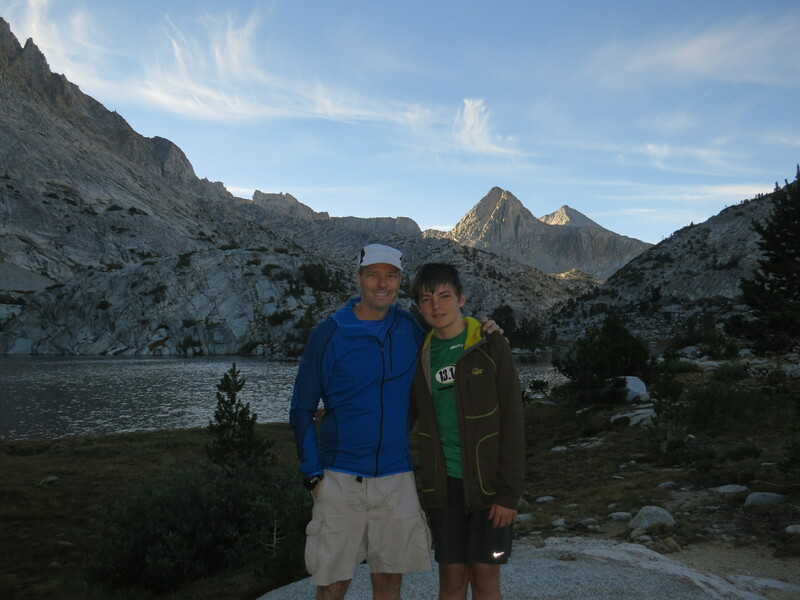 The following morning, the weather was beautiful and we left for a training hike up Kearsarge Pass around 8am. 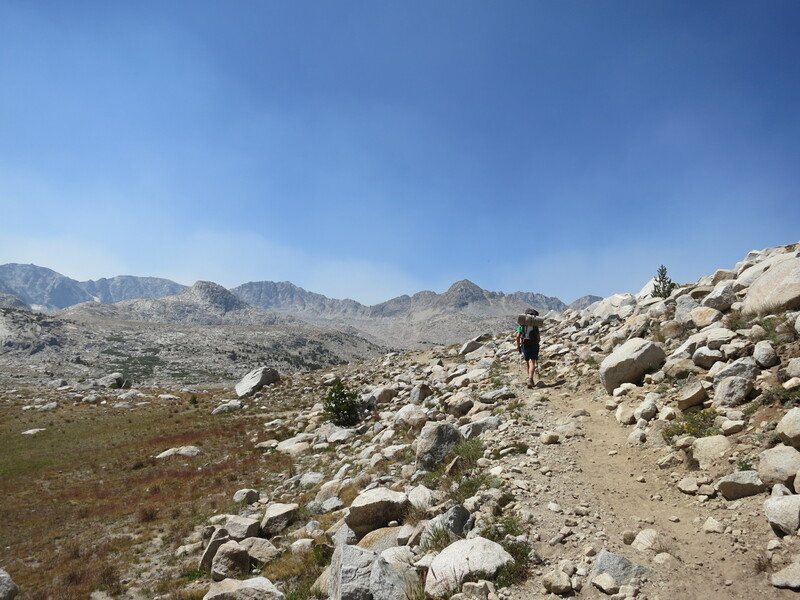 The trail to the pass climbs about 3,000 feet over 5 miles to an elevation of just under 12,000 ft. 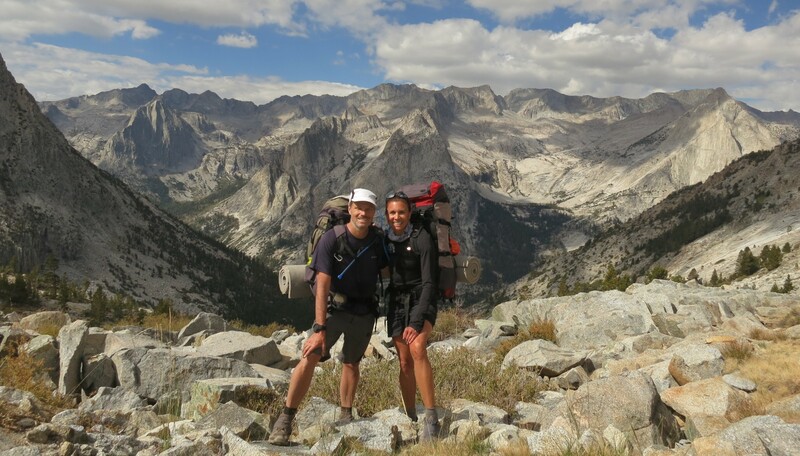 The purpose was to get everyone used to the terrain without backpacks and to help with the acclimatization to the altitude. 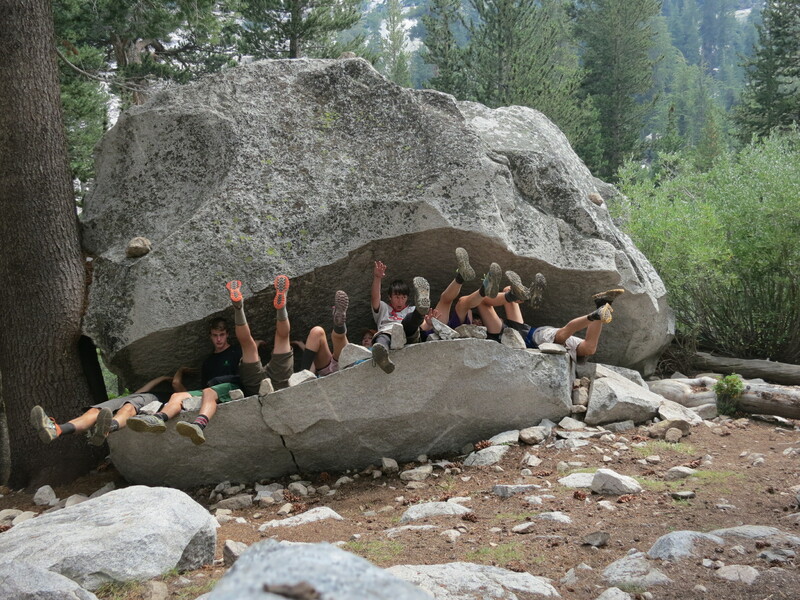 At the pass, there is a rock pinnacle that the crew couldn’t help but climb. 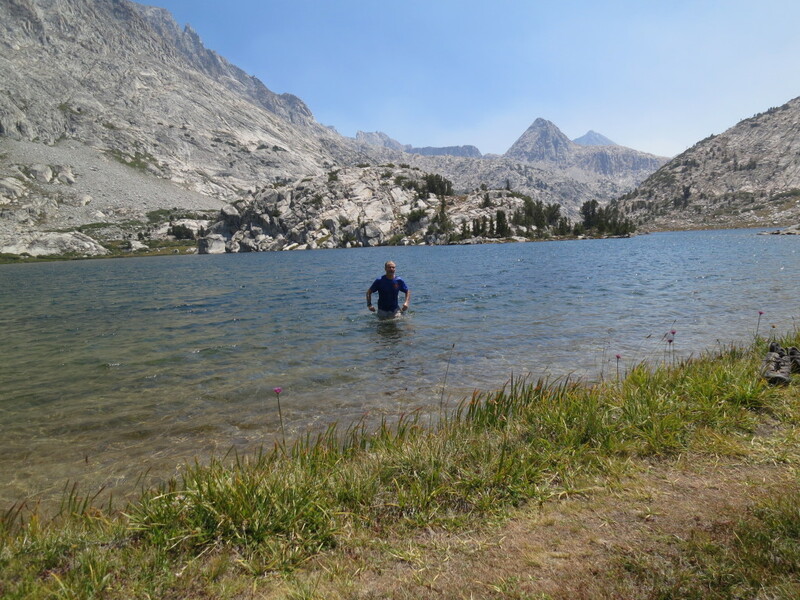 On the way down, we passed several lakes and Maddie had to test the waters. We then drove an hour north to Bishop and after lunch, we headed to the North Lake Trailhead. 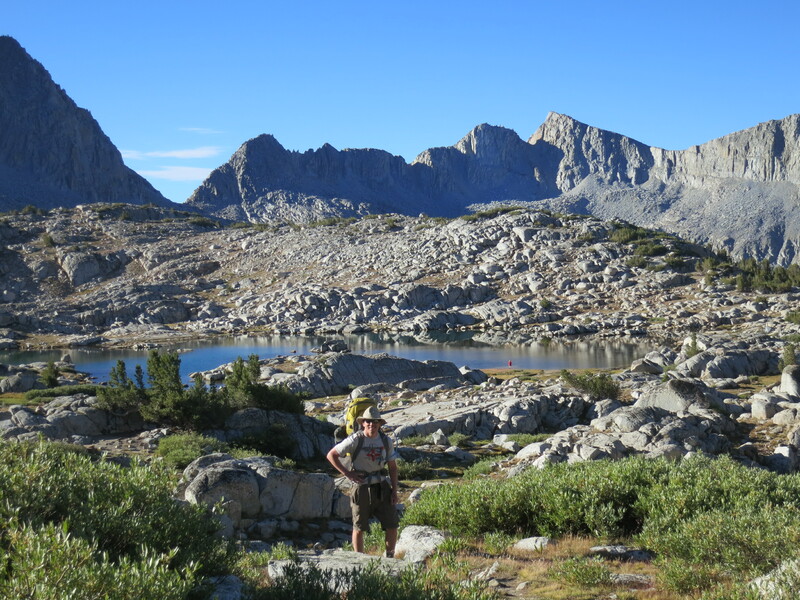 The Trailhead leads to Piute Pass and then into the Humphries Basin and eventually to Piute Canyon. 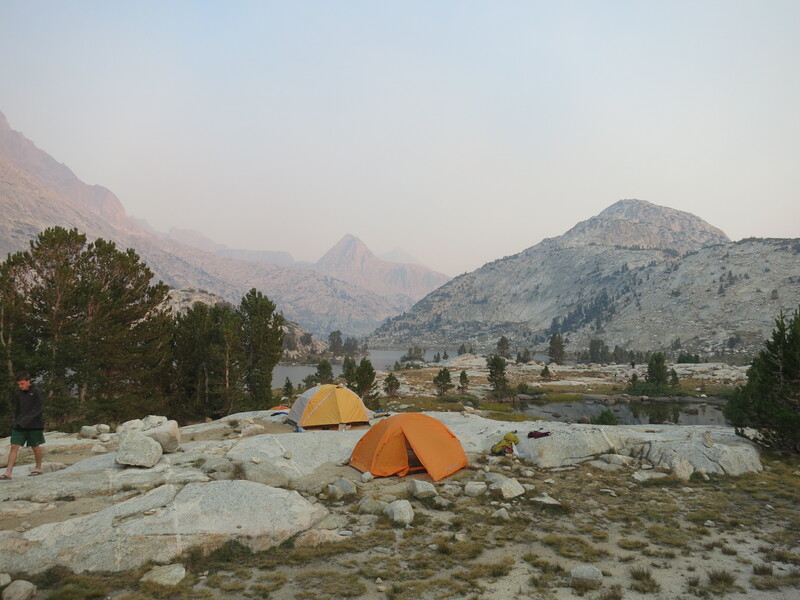 We found a suitable campsite near the trailhead and staged the cars for our return to South Lake. 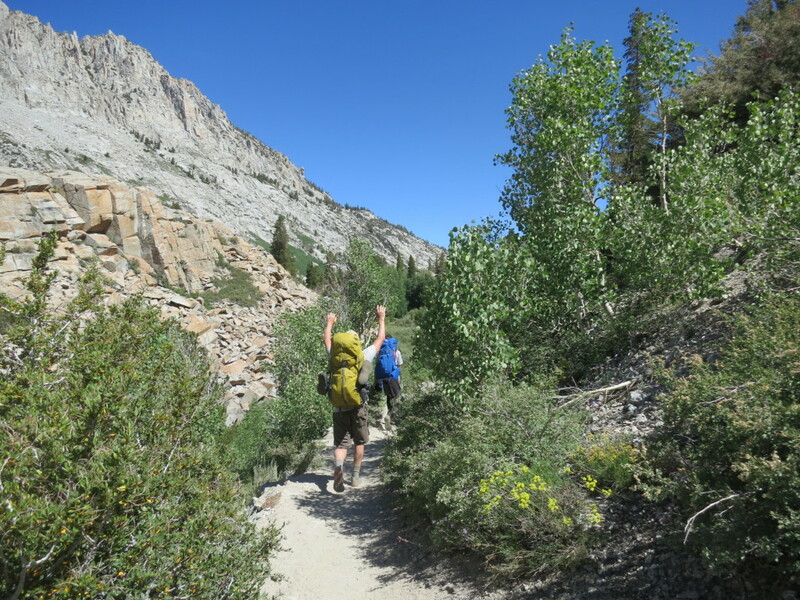 The following morning we set off through the forest and switchbacks to the pass. Once crossing over the pass, we descended into the massive Humphreys Basin. The Basin looks like a vast wasteland of rock and wind. 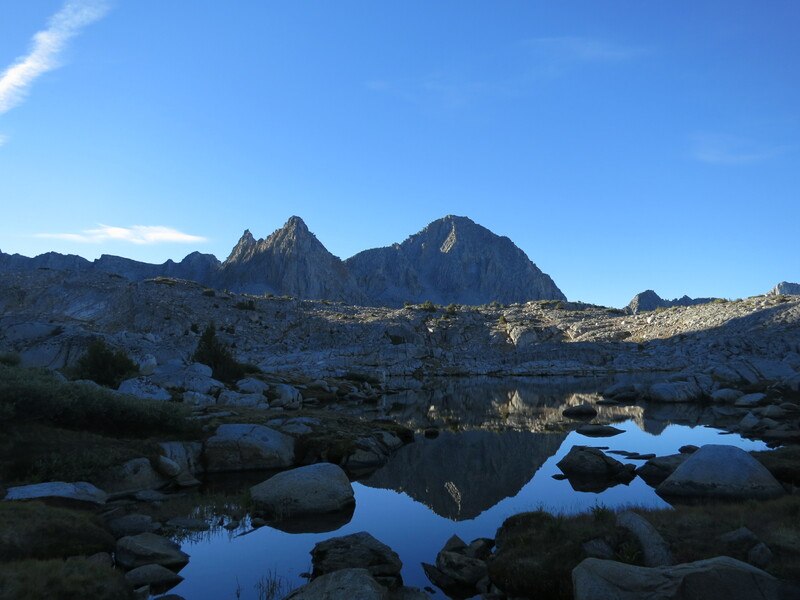 It is bordered by 13,000 ft peaks to the North and South. 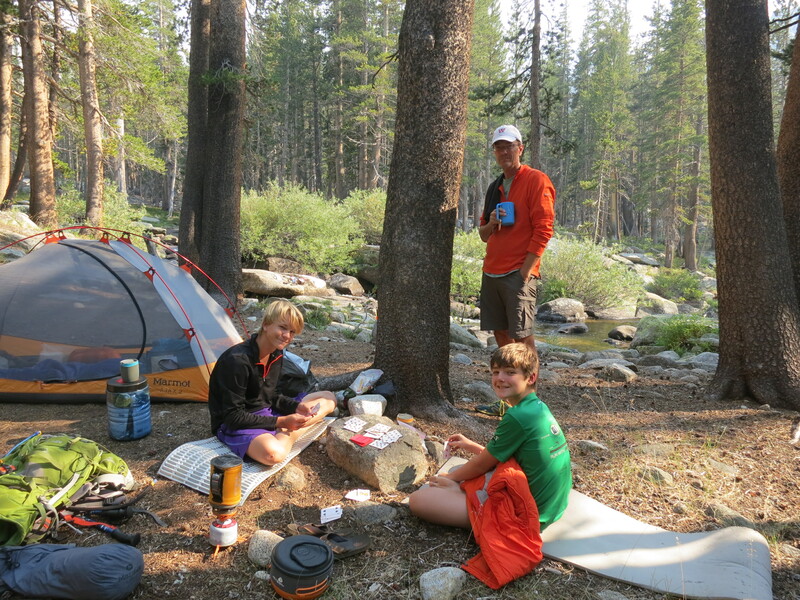 We proceeded west to Hutchinson meadow where we found a great campsite next to Piute stream. After a swim and many games of cards between Preston and Henry, we bedded down for the night. 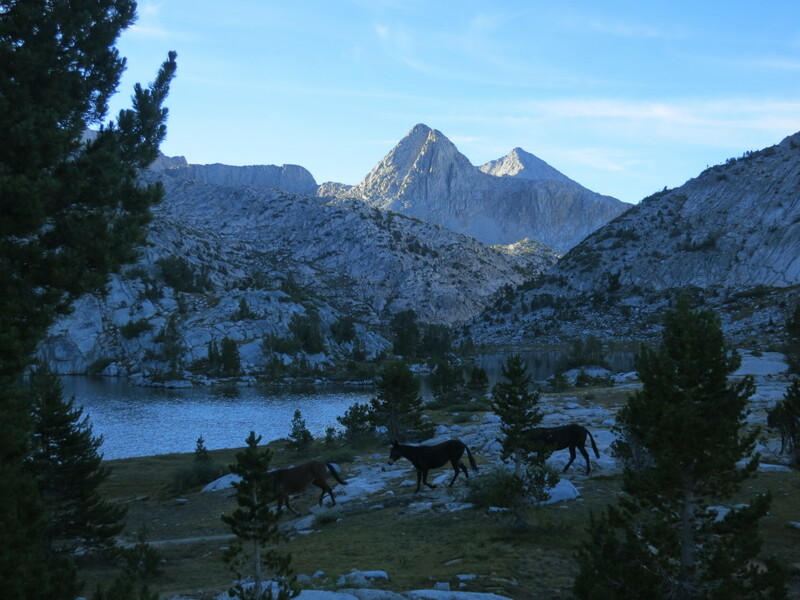 The next morning we crossed the meadow and headed down the magnificent Piute Canyon. 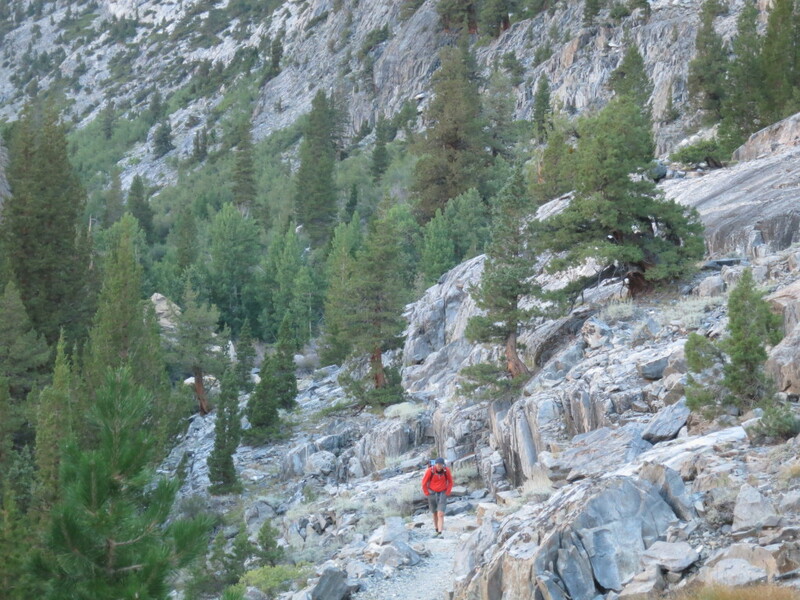 The narrow trail winds down the west side of the canyon. 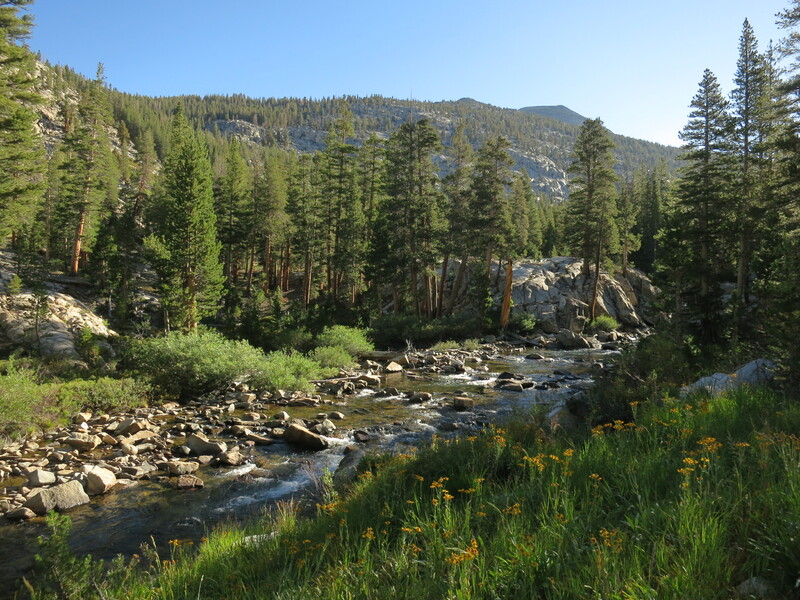 The views are stunning and in places, the creek is several hundred feet below a sheer drop off. 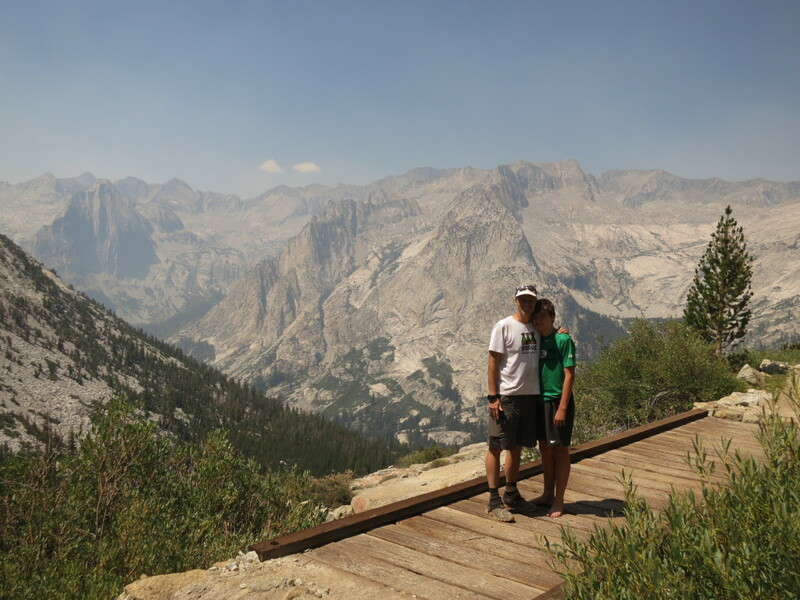 The canyon ends at the John Muir Trail and the entrance to Kings Canyon National Park. 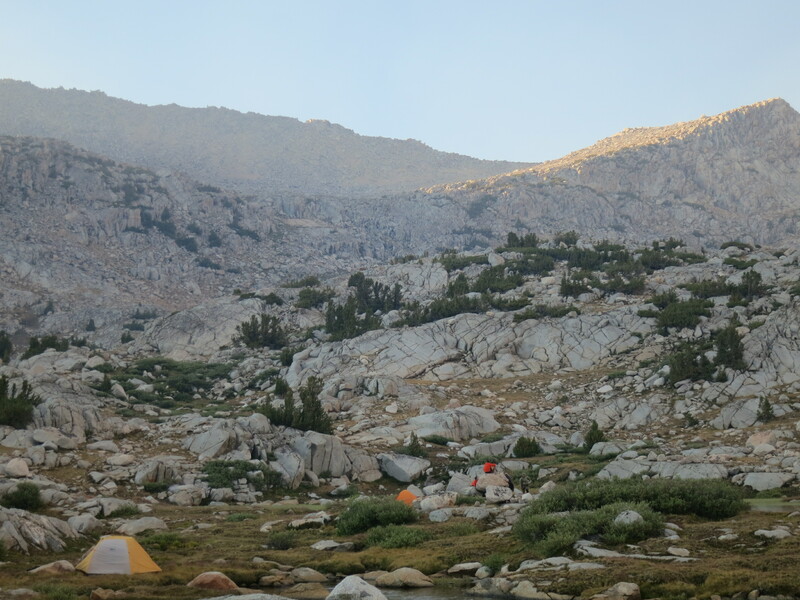 We turned East and followed the river to our next campsite near the entrance to Evolution Basin. 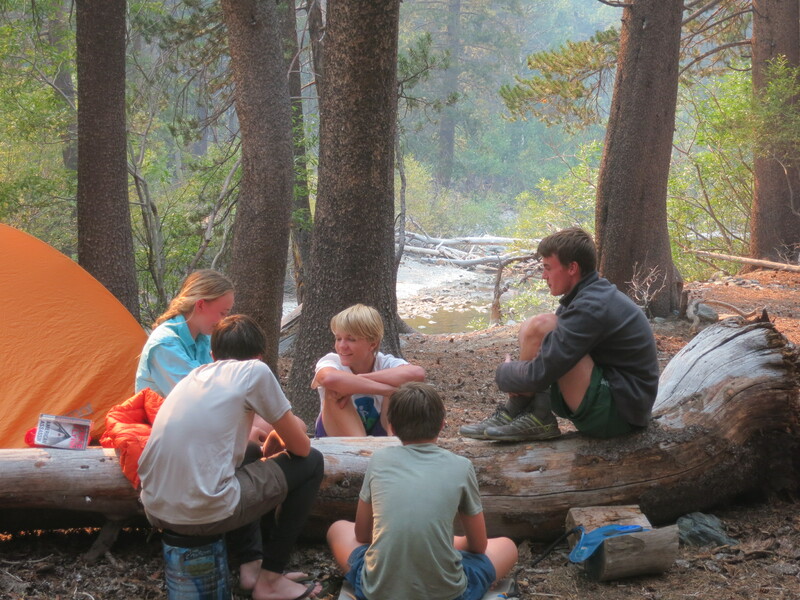 At camp, more cards were played and Jack assumed his signature sitting pose of entitlement. 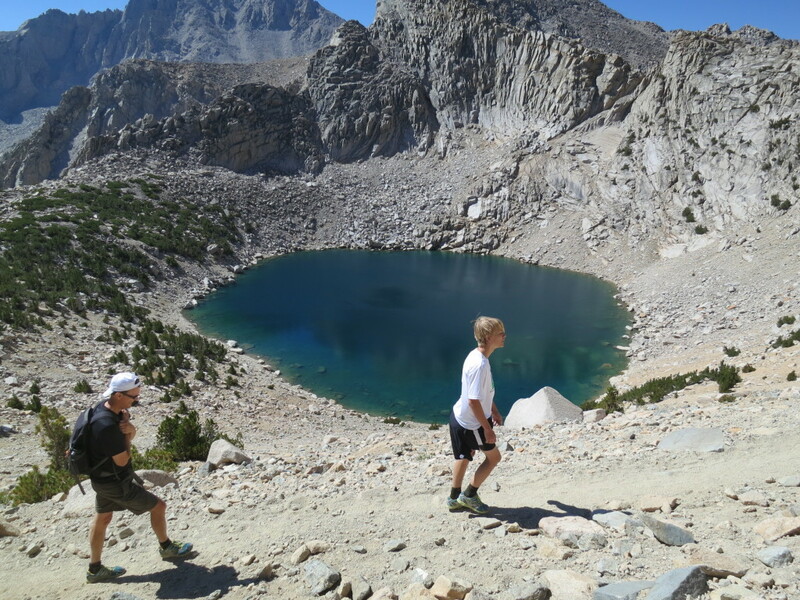 The next morning we started the 2,200 ft climb to Evolution Lake. 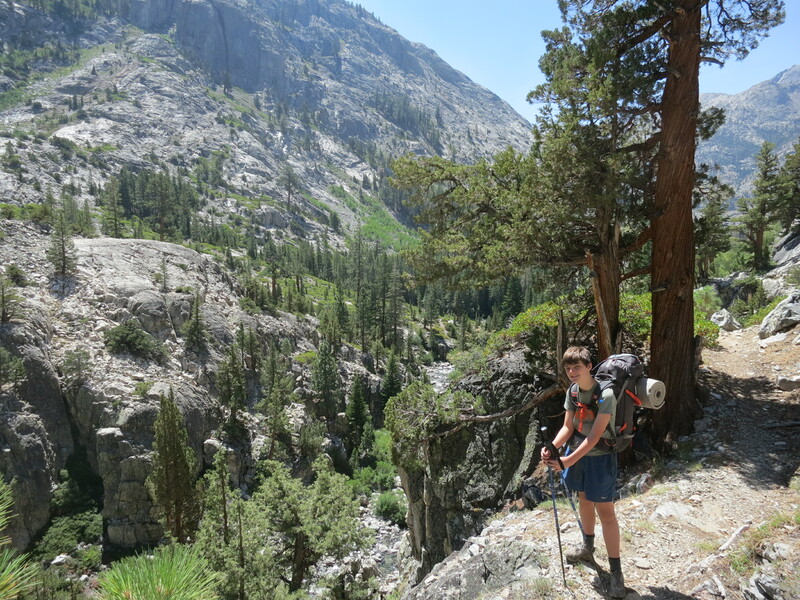 The climb required 11 miles of switchbacks and a water crossing but we moved quickly and reached the campsite by 1pm. 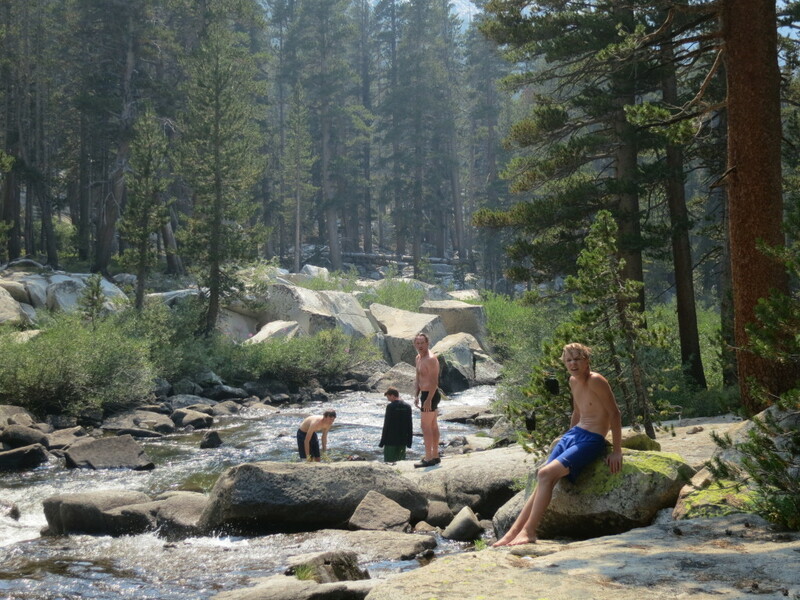 The sun was hot and the water was cold, but everyone in the group jumped in. 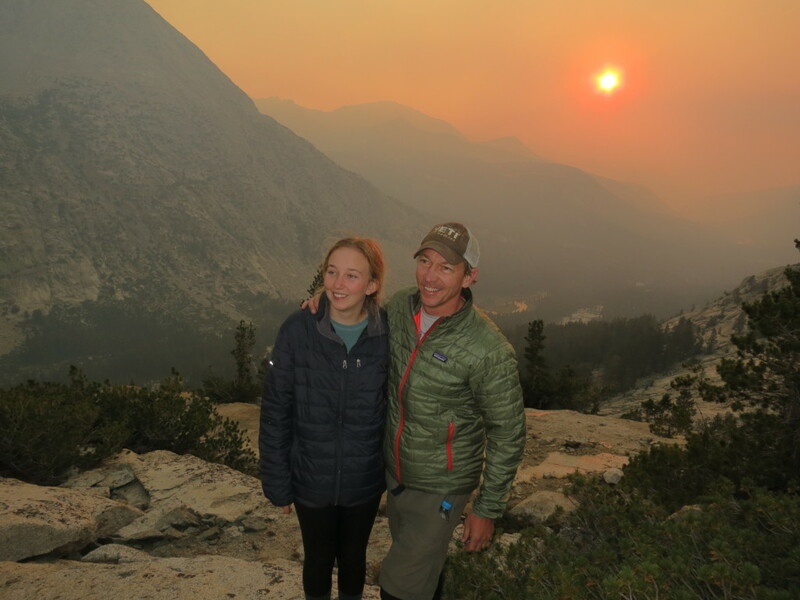 Later in the afternoon, smoke from a distant forest fire blew in and bought a lot of haze. 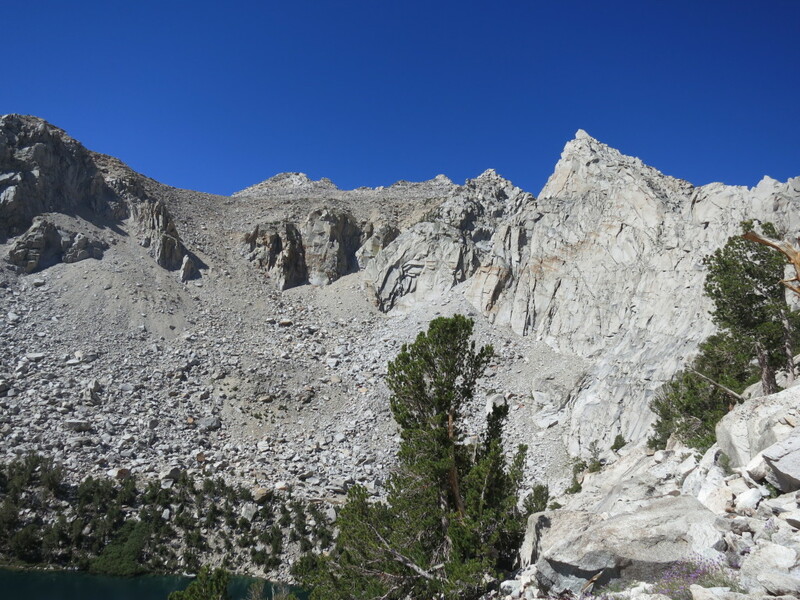 The lake is positioned in what is known as a hanging valley. 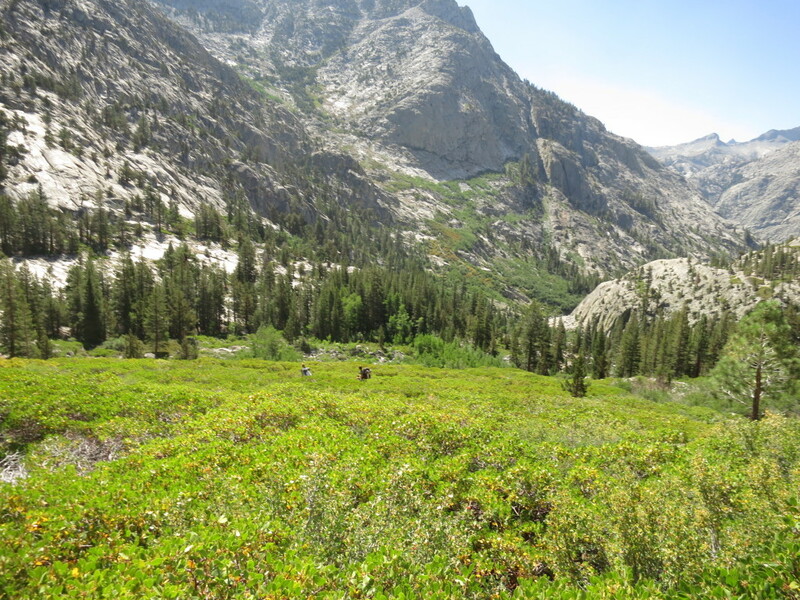 These valleys were formed when the glaciers retreated leaving small pieces to continue to erode pockets in the canyons. The result is basically basins that step up as you near passes. This creates sheer drop-offs on the edge of the valleys. With the addition of the haze to sunset, some spectacular colors in the sky are created from the valley overlook. The next day was going to be challenging, so we left early. 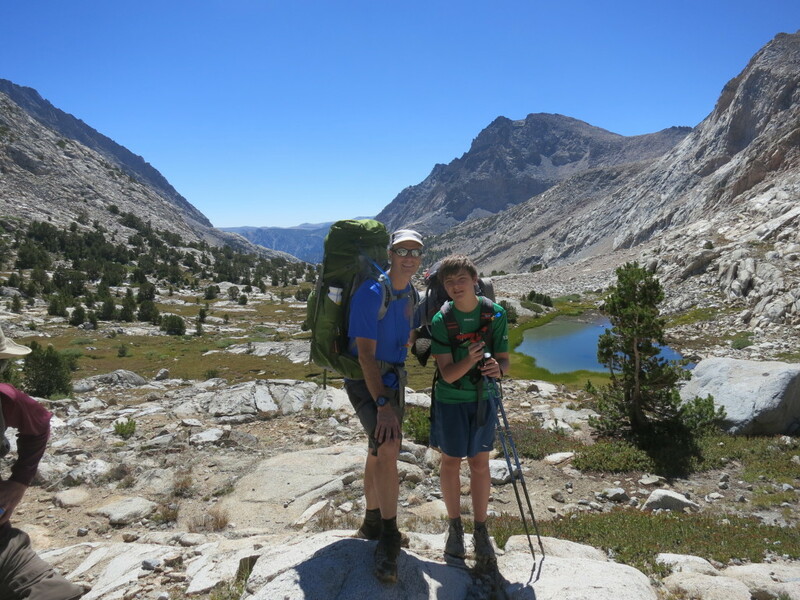 Our plan was to climb out of Evolution Valley to Muir Pass. 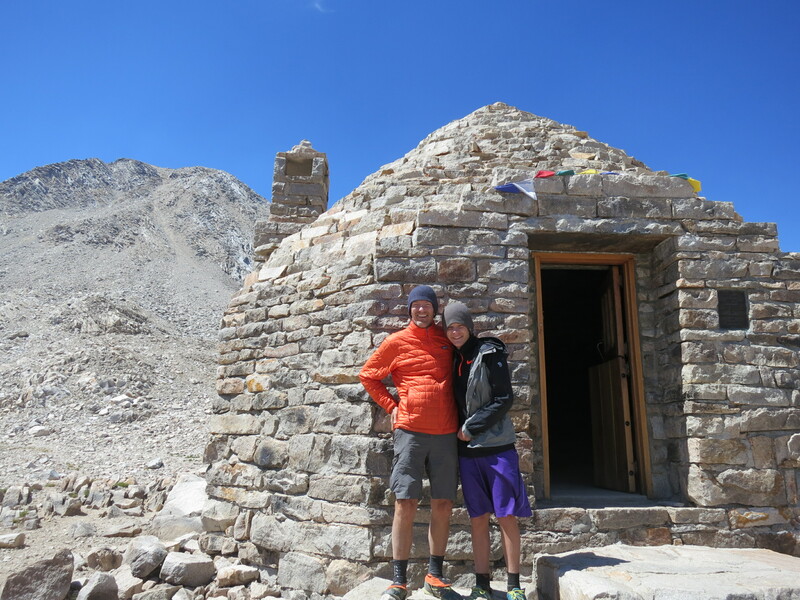 The climb was only 1,200 ft, but it’s through some very rough trails to just under 12,000 ft. On top of the pass, sits the Muir hut which was built by the Sierra Club in the 1930’s. 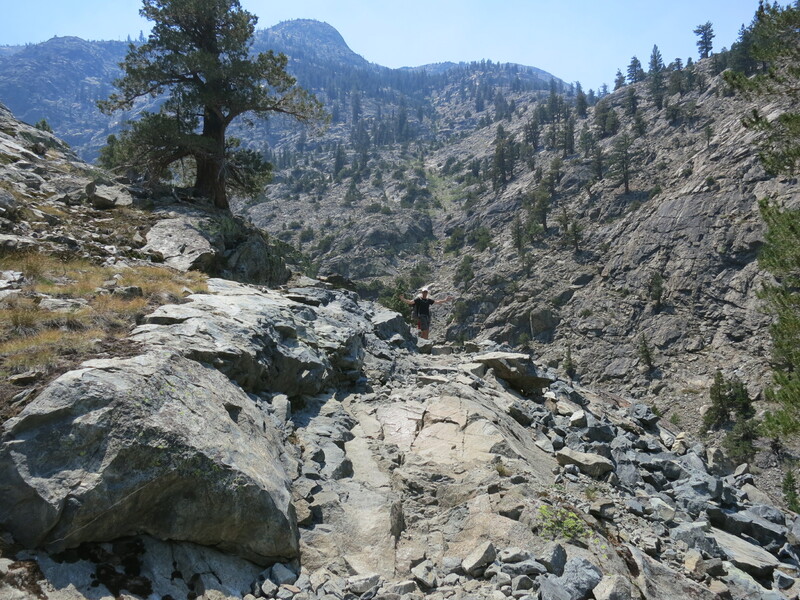 After the hut, the trail descends sharply into Le Conte Canyon. 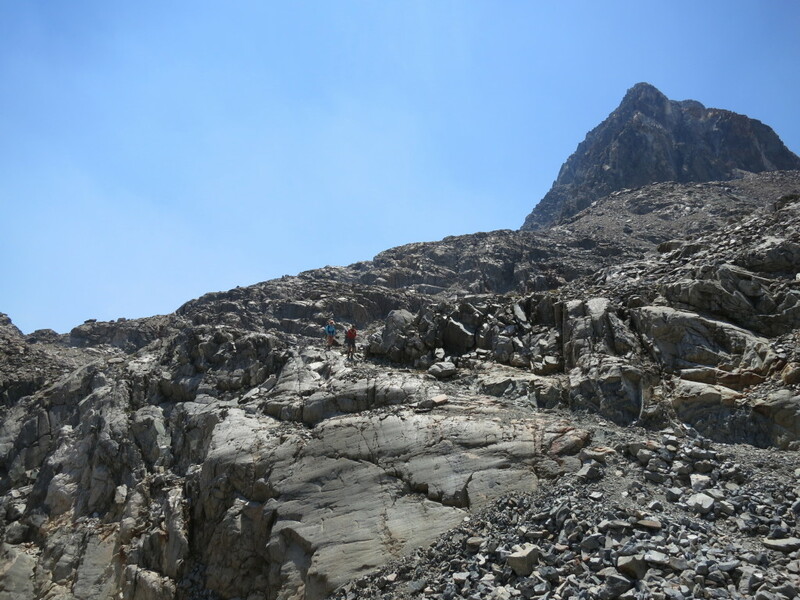 This is one of the more challenging parts of the trip since we had to drop nearly 3,000 ft in the heat and dust. 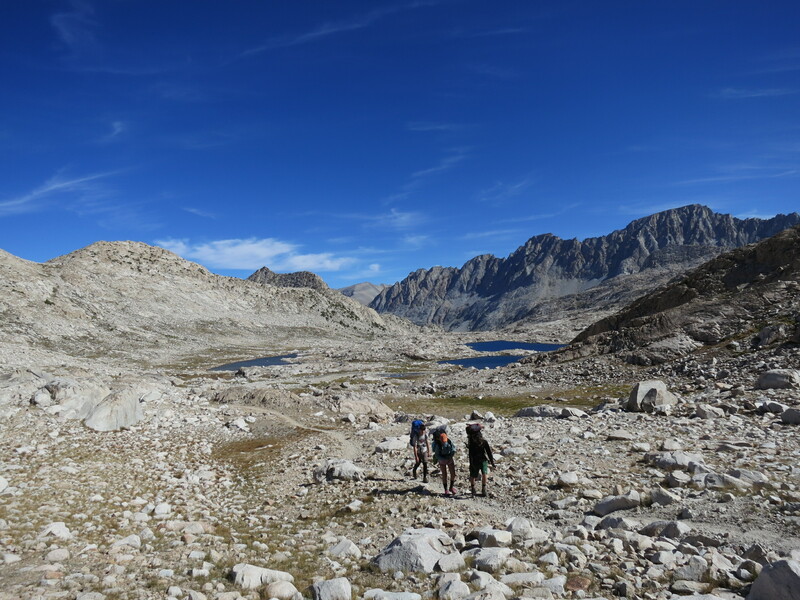 The grade of the trail wore on everyone’s legs and they were very happy for a short break in the mouth of the John Muir Trail Monster. Everyone seemed to have fun with it, except Jack; as you can see by his refusal to lie down and the scowl on his face. 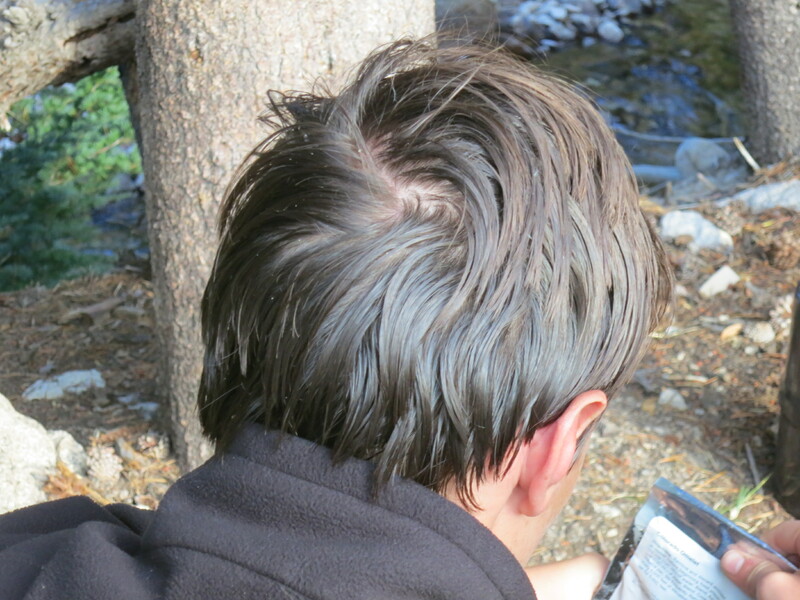 Once at camp, many soaked in the creek to clean-up, and a few others (like JT) needed a good hair scrubbing to remove the grease. 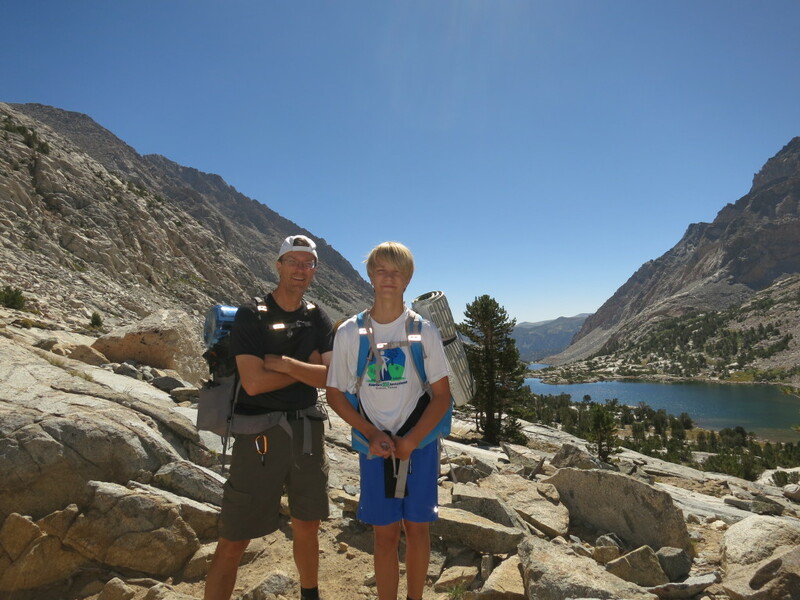 The next morning, we had our biggest climb of the trip – over 2,400 ft in 7 miles. 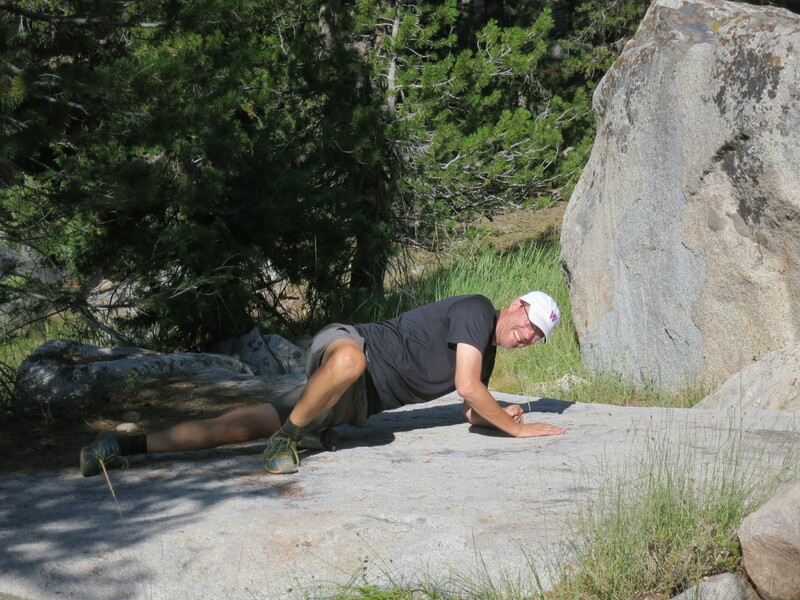 The senior member of the crew (Brad) took care to loosen up his muscles before setting out. 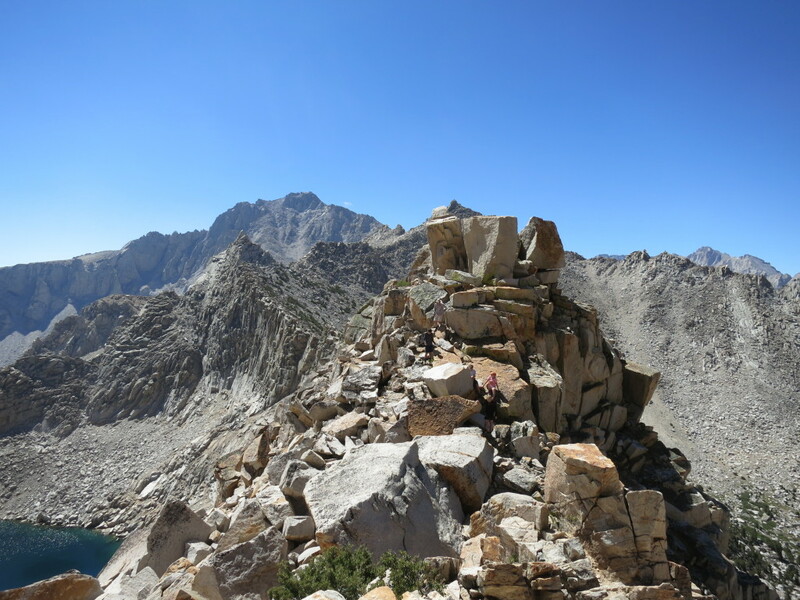 The climb consisted of leaving the JMT and turning north towards Bishop Pass. Along the way the views were spectacular and our campsite in Dusy Basin was even better. 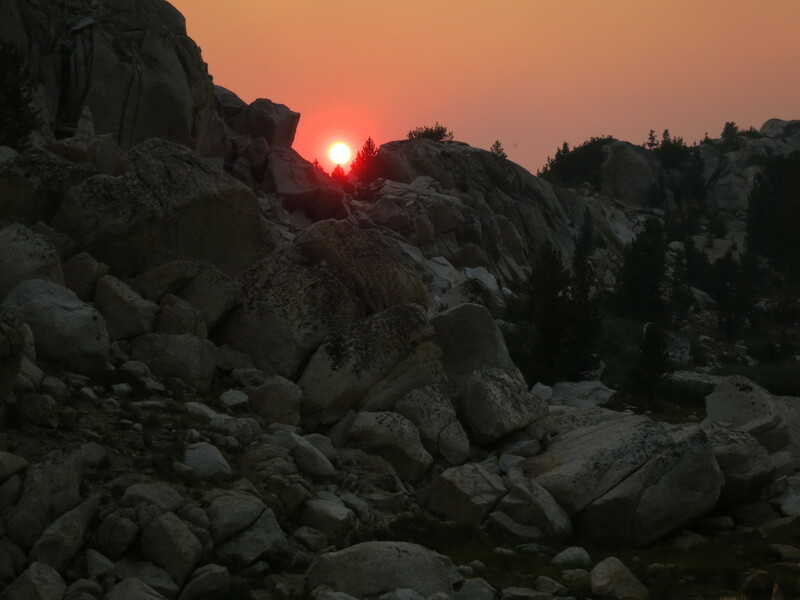 While the smoke was much less than it had been in previous days, the small bit that came in created some spectacular colors at sunset. Through the day, the only thing the kids talked about was all the different types of food they were going to eat the following day. There were requests to get up before dawn and hit brunch (from Jack of course). The morning of the last day was another beautiful day. 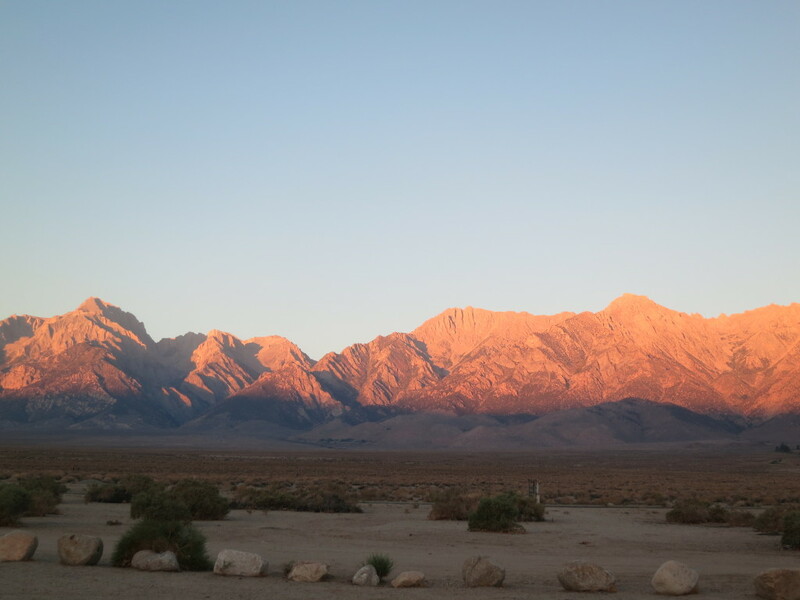 The sunrise in Dusy Basin was incredible. 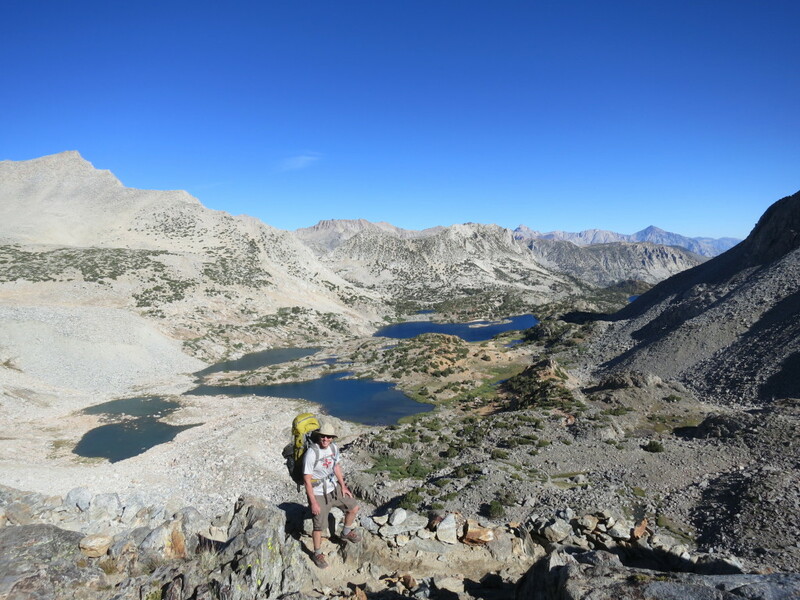 It was just a short climb to Bishop Pass and then 6 miles of downhill switchbacks to the South Lake parking lot. Grant and I went ahead so we could drive back to North Lake and pick up the car we left there. 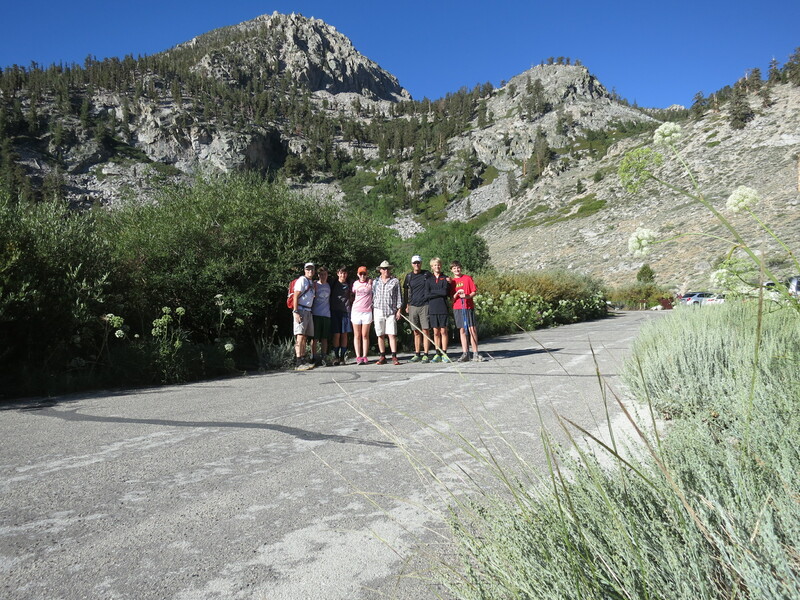 Everyone made great time and soon we were back in Bishop for lunch. 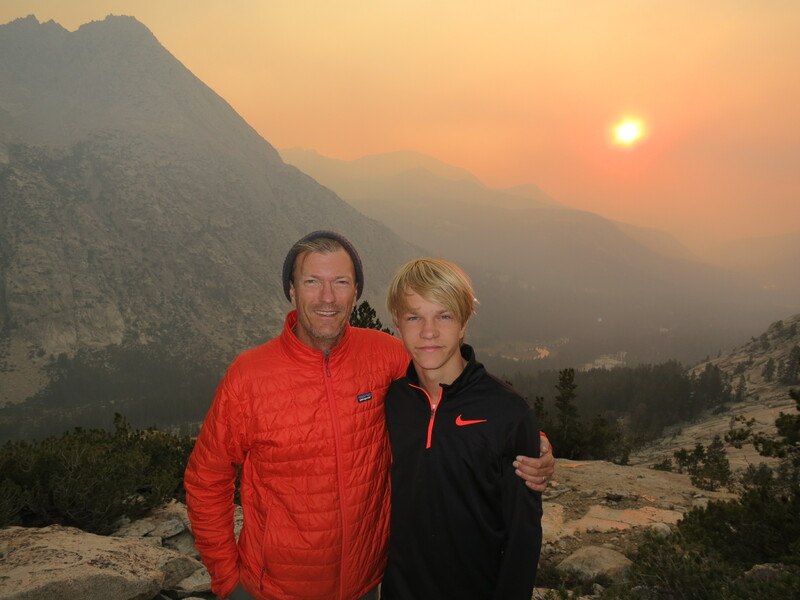 The trip was fantastic; really appreciate Grant, Brad, and their families for sharing the time with us. While my watch lost it’s way a few times, it said we did over 58 miles and close to 14,000 feet of climbing. 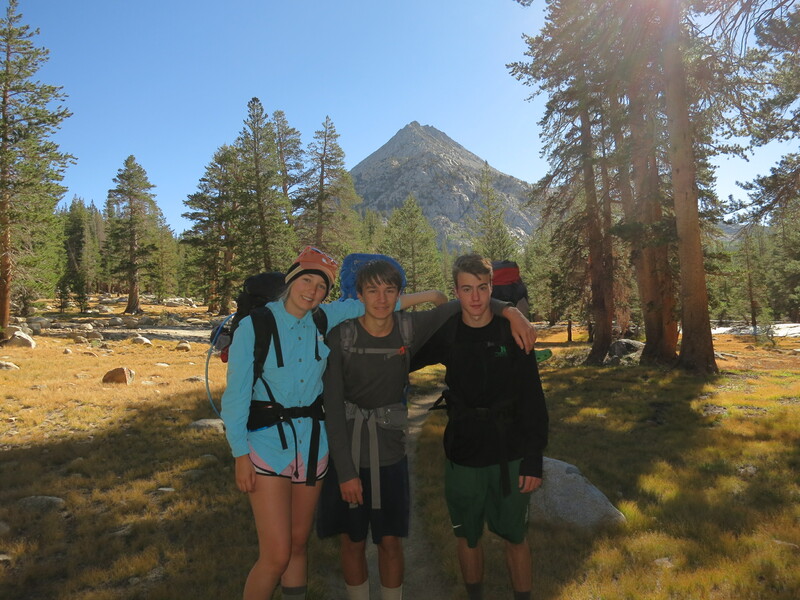 This entry was posted in Hikes, JMT Trip on August 19, 2015 by admin.